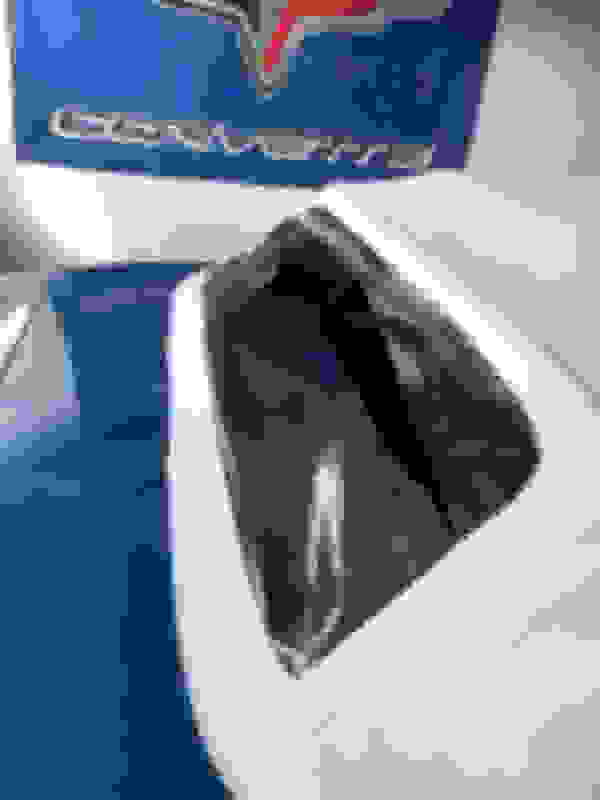 C3 Convertible Plastic Rear Window Cracked! Put up my top on my 75 vert in near freezing temperature and the rear plastic window completely cracked up. I’m sure dryness due to age was a factor. Original white top is in beautiful condition. Any way I can replace just the plastic window, instead of the entire top? Car is still 100% original except for tires, battery and pads and would like to keep that way. Can’t seem to find just that part anywhere. Help and advice is much appreciated.Thanks! Last edited by Sebastian; 11-16-2018 at 12:08 PM. I found a trim shop that sewed one in for me many years ago. All you can do is check with your local trim shops. Thanks for tip. I’m in Toronto, Canada - don’t know if we have specialty shops like that. Hope a fellow Canadian forum member might know of one. 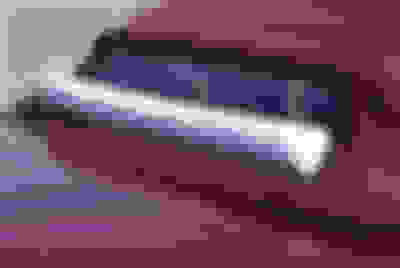 Since your car is very original, you may have a problem. Look carefully at the perimeter of your original window. It is heat sealed to the top rather than sewn in, as I recall. Honestly, unless the rest of the top is pristine, and it doesn't appear so if it's the one you posted, you may be throwing good money after bad. A new convertible top can be had for $250 U.S. I agree with Mr Gusto. For what you will pay for a replacement window ( if you can find a shop to do the heat seal) you could get a new top. Remember the top is as old as the window, and while it might look good, it might be failing also. If your luck is like mine, the seams won't split until AFTER you put the new window in. If it were me, and I was concerned about originality, I would keep the old top somewhere and just put a new one on. If/when you go to sell the car in the future you can give the proud new owner the original top. Good luck. I know this won't help with the cold but I suggest you get a window pillow. 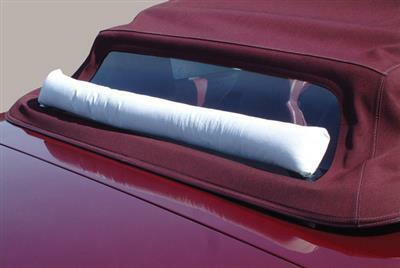 It will keep your new window from getting creases and cracks when stowed. Plastic window seems glued in, not sewn. Makes sense to buy a whole new top. Where can I get a reasonably priced good top without paying a super premium? Need not be a perfect replica - on a budget. Thx. Last edited by GUSTO14; 11-17-2018 at 06:55 PM. Last edited by theandies; 11-18-2018 at 03:01 AM. not all tops are equal, price doesn't mean better and tops can have a wide variance even if made by the same vendor in the same batch off the production line, that being said research a new top for user reviews and advoid buying any that claim theres no cutting or trimming needed, there will ALWAYS be some need to modify/trim a new top or else you risk getting to the end of the install to find that your 1/4 inch short of getting the last corner tacked. having said that I would never recommend replacing just the window portion because of the labor involved, stitching a top together is best done on the factory floor because one small error compounds the chance of failure either through stretching (saggy corners) or tearing when low temps are introduced. My original lasted about 30 years before cracking. Replacement is at 15 years and going strong. One rule I have is that I don't fold or unfold the top if it less than 50 degrees unless it is absolutely necessary, that seems to help avoid any issues with the window. I thought that guidance was in the owner's manual but it is not there. Generally, mine sits unfolded and unlatched in the garage. Quick Reply: C3 Convertible Plastic Rear Window Cracked!